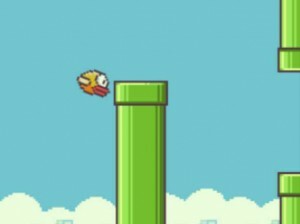 It may be a little while but Flappy Bird is officially coming back according to its creator Dong Nguyen. After disappearing from public life (aka Twitter), Nguyen returned with a flurry of tweets, many of which were responding to fans of the game. Along with logging back onto Twitter and thanking people for the compliments he has received, Nguyen told his followers that the game will eventually return, although it will not be the exact same as the original Flappy Bird. Instead, he says that it will be even “better” than the original and that he keeps “his word” regarding the return of the game. Based upon Nguyen’s posts, it does not sound like the new Flappy Bird is ready yet as he stated that he does not “work by [a] plan” and that the game will be released onto mobile devices once it is done. Of course, with all of the fake Flappy Bird clones and related games that have popped up on the Android and iOS app stores, a good portion of Nguyen’s tweets dealt with people asking if a certain app was actually put out by him. It was only one month ago when the developer told Forbes that the game would be gone forever. Though it will be a different version than the original, it does seem like Nguyen has changed his mind now that he is removed from the madness surrounding the first Flappy Bird. The developer has repeatedly told people that the main reason for his decision to take down the game was that it launched him into popularity too quickly, thereby changing his life in a drastic way. After taking a breather however, Nguyen is back at it and if what he says is true, he is even better than before. Question – Did you enjoy Flappy Bird and are you looking forward to its return? Summary: Flappy Bird creator Dong Nguyen says that the game will eventually return but will be even better than the original.